Perennial herb with angular stem, common in hotter parts of India and other Asian countries. Leaves are numerous, elliptic – oblong, subsessile. Flowers yellowish and axillary. Capsules globose with trigonous seeds. The whole aerial plant is used for the extraction of the active principle. 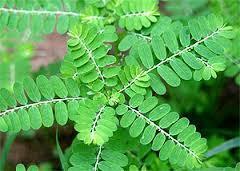 Phyllanthus amarus plants are found to grow abundantly throughout India during rainy season. The plants are erect annual herb, 30-90 cm tall, stem simple or branched, leaves lanceolate, flower monoecious, capsules oblate, seeds light brown in colour. Traditional practitioners for the treatment of jaundice and other diseases have used it widely. Jivatha Natural Herbs Pvt. Ltd. is a leading cultivator and supplier of natural herbs, cultivation seeds, planting material and much more. Jivatha Natural Herbs Pvt Ltd.
Chemical Constituents and Components : Main chemical constituents are phyllanthine, hypophyllanthine, alkaloids, quercetin, quercertrin, isoquercitrin, astragalin, amarin, geraniin, corilagin, rutin and 3-O-glucopyranoside. 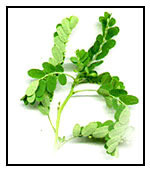 We are providing a premium quality range of Phyllanthus Niruri to our esteemed clients. We source the herbal products from credible vendors and pack them as per the requirement of the customer at industry leading prices, which are situated all round the nation. We have in-house experts who inspect the quality before reaching the client end. We are prominent and Growing Exporter of Herbal plants. The product we offer Phyllanthus amarus. We offered Whole plants who grow them in well-drained soil. Our products are known for their high quality and freshness and are sourced from the reliable farmers And Near Mountains.